The trains may be gone, but much of the character of the towns remain. You can still find traces of the railroad if you know where to look. 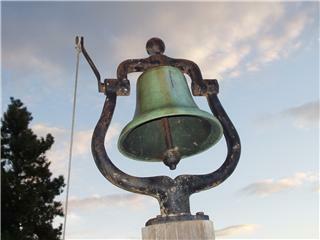 This web page has helped to find things I never knew survived, like the bell from #3 - see below! 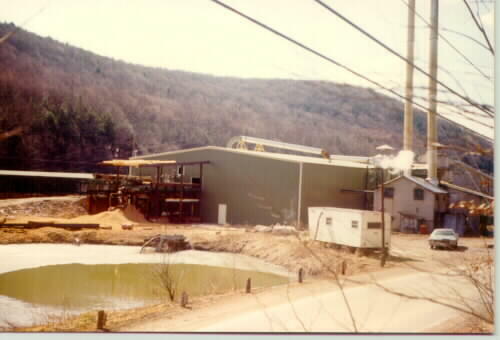 The Mayburg Chemical Company was one of the largest, if not the largest, wood chemical (acetone) plants in the state between the 1920's and 1946. While it was on the 'main line' of the Collins-owned Sheffield & Tionesta, much of the chemical cull hardwood was supplied by Wheeler & Dusenbury from their lands. The long branch line from Hearts Content, to Dunham Siding, and down Bobbs Creek to Mayburg was owed by W&D, and it crossed the Tionesta Creek at Mayburg. 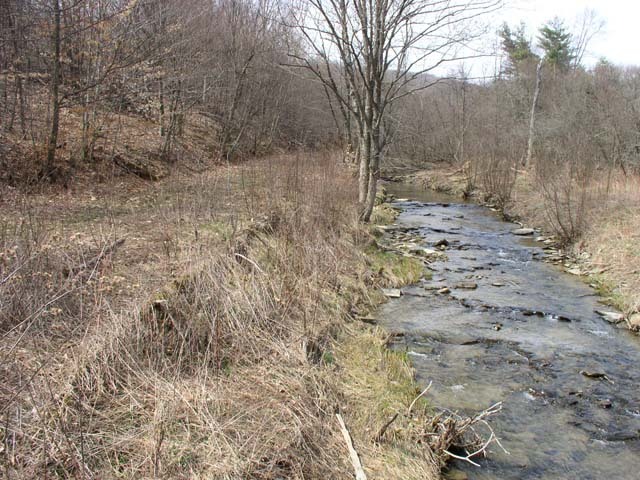 The three-span steel girder bridge is still very much there in 2008, and the private camps south of the creek (on the former plant site) have it as their only vehicle access road from PA 666.. 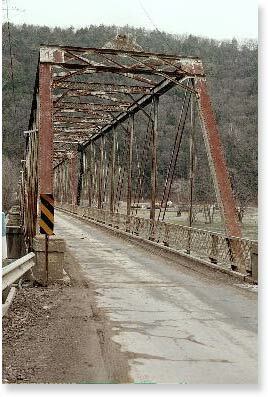 Considering that it was last used as a railroad bridge no later than 1938, the survival is remarkable. Ross Run is WAY off the beaten path, and it's hard to imagine this was actually a railroad junction today with passenger trains. But between 1892 and 1904, this was the 'only way out' for the Collins Pine empire to leave the Tionesta Valley and reach a railroad connection. The Hickory Valley came down Ross Run and crossed the Tionesta Creek - somewhere yet to be found - but the grade down Ross Run is still very visible today. That's amazing, when by all accounts it was likely abandoned before 1917. 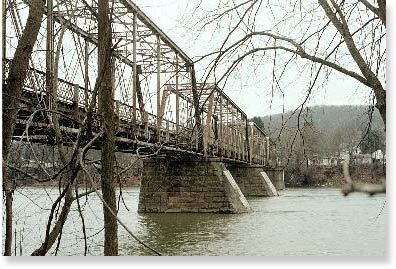 One of the most interesting artifacts of the Hickory Valley Railroad that survived until 2007 was the railroad bridge over the Allegheny River at West Hickory. Though the railroad was removed in 1938, the bridge was taken over by the state and used as a ONE LANE highway bridge ever since. 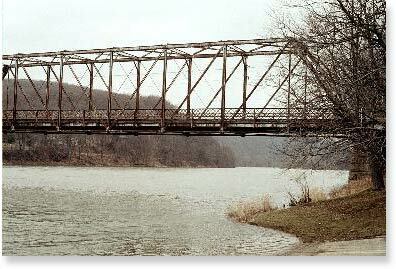 It was a magnificent old four-span pin-connected iron truss that dates to approximately 1905, 640' across the river. It has now been replaced by a modern concrete prestressed span. 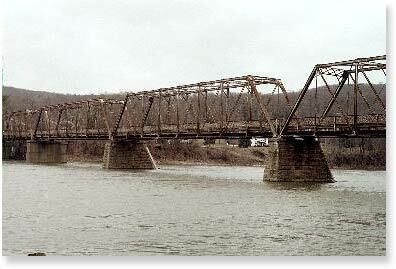 It was quite obviously a railroad bridge. I've seen photos of this bridge with trains on it. The second Endeavor Lumber Co. mill was sold to Hammermill Paper in 1966, and then American Hardwoods, but is on the same site as the W&D upper pine mill.. That's still the same log pond as in the historic photos, and the original brick boilerhouse walls dating back to the 1800's were inside the concrete block walls of the boilerhouse. Photo by Randall Gustafson; 1975. 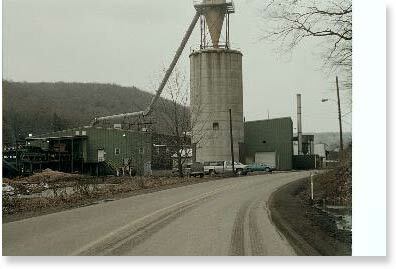 By 2002, the original W&D boilerhouse was torn down, reportedly for environmental considerations. The concrete silo on the site now stores sawdust for shipment to high-grade paper mills in the region. American Hardwoods sold the plant to Industrial Timber & Land, and An overhead view of the plant today can be seen at ITL's Endeavor Page that directly compares to the aerial views on my other pages. The log pond has now shrunken to an oversized ditch. W&D # 3 bell found! I was contacted by one of the distant Wheeler relatives with this amazing photo. This is a locomotive bell that they have at their hunting camp. They maintain it came from the W&D, and it has "Porter" on it. You can dispute it if you want, but that would make it the bell from #3! This would make it the ONLY surviving locomotive artifact from the entire railroad. 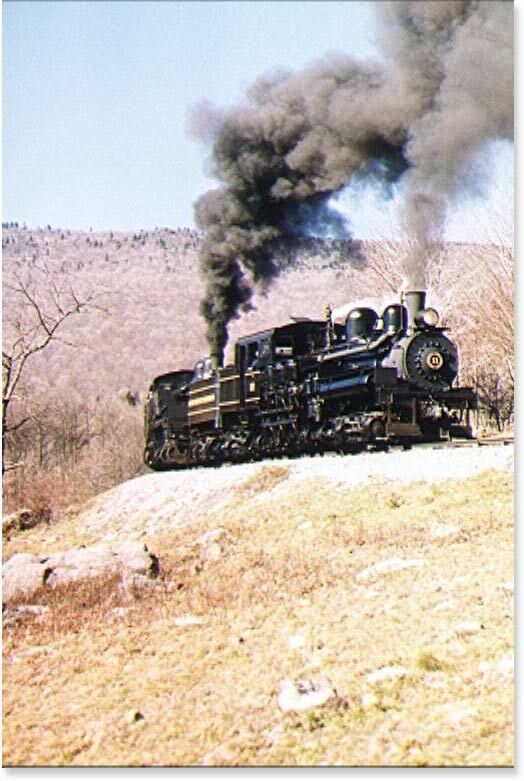 If you want to smell coal smoke, watch the geared locomotives work in the woods, and see a true company town never really changed, visit Cass, WV (see the link on the home page) This November 2001 photo shows how spectacular the sights and sounds can be. I can't recommend Cass enough if you are interested in the logging railroad history common to both the Hickory Valley and this part of West Virginia. Photo by Randall Gustafson.